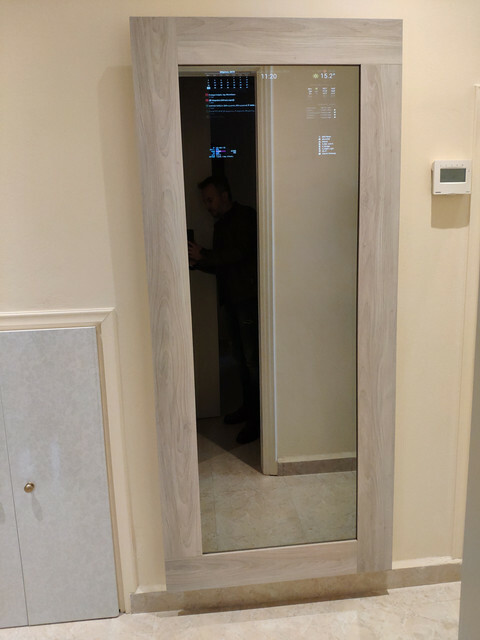 Hello fellow Magic Mirror builders, so after lots of trials and errors, I have finally finished my magic mirror!!! I´m using a 19" LG wide monitor, an RPI 3b+ and a google voice hat v1. The cost of the whole build (including frame, glass and electronics) was a little less than 200€. P.S A BIG thank you to all the modules developers for their contribution in this project!! Πολυ ομορφο,μπραβο!Did you use film or glass ?What do u use for voice commands? I used a tinted glass called “SOL” that has a bronze tint and i think its ~80% reflective (and its very cheap). 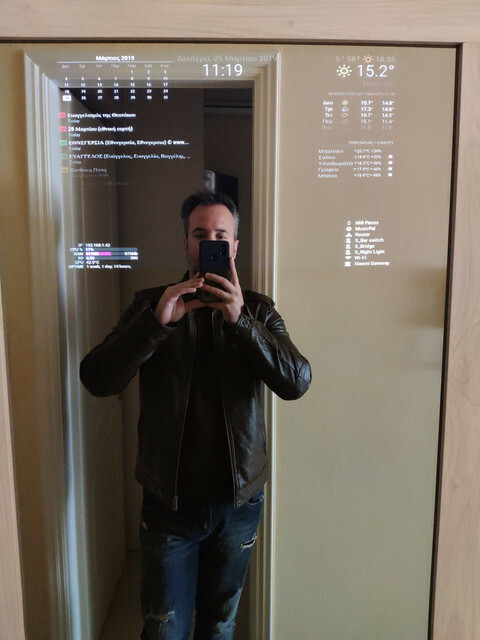 For voice commands i used the google AIY Voice kit, you can run it even without the magic mirror app on any pi, and its “almost” ready for use. 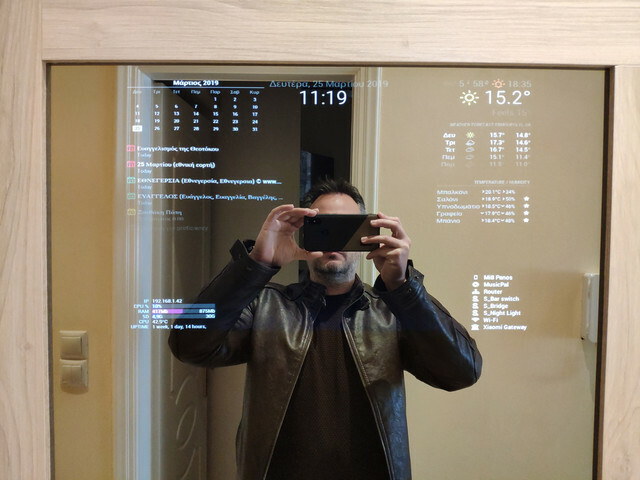 The only downside is that I don’t have a screen output connected to my assistant, so it’s not like some modules here in the forum, but on the other hand, i did not want the google assistant to interfere with the magic mirror app. The input method is a mic, that came with the google voice kit, and all kinds of commands are accepted. (For example i have a sonoff relay controlling the power to the magic mirror monitor and i use the assistant to turn it on and off).